We can all be heroes. 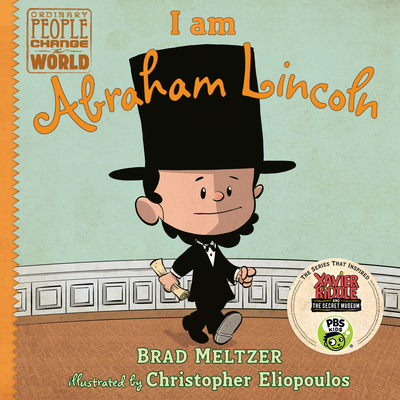 That’s the inspiring message of this lively, collectible picture book biography series from New York Times bestselling author Brad Meltzer. “Kids always search for heroes, so we might as well have a say in it,” Brad Meltzer realized, and so he envisioned this friendly, fun approach to biography – for his own kids, and for yours. Each book tells the story of one of America’s icons in an entertaining, conversational way that works well for the youngest nonfiction readers, those who aren’t quite ready for the Who Was series. Each book focuses on a particular character trait that made that role model heroic. For example, Abraham Lincoln always spoke up about fairness, and thus he led the country to abolish slavery. This book follows him from childhood to the presidency, including the Civil War and his legendary Gettysburg Address. This engaging series is the perfect way to bring American history to life for young children, and to inspire them to strive and dream. Brad Meltzer is a #1 New York Times bestselling author of adult thrillers (including The Inner Circle and its recent sequel, The Fifth Assassin). His two nonfiction gift books, Heroes for My Son and Heroes for My Daughter were New York Times Bestsellers as well, and he has won the prestigious Eisner Award for his comic book work, Justice League of America. Brad is also the host of the History Channel TV show Brad Meltzer's Decoded.